On Monday, April 8th, the Franklin Square & Munson Fire Department was dispatched to a report of a house fire on June Pl. 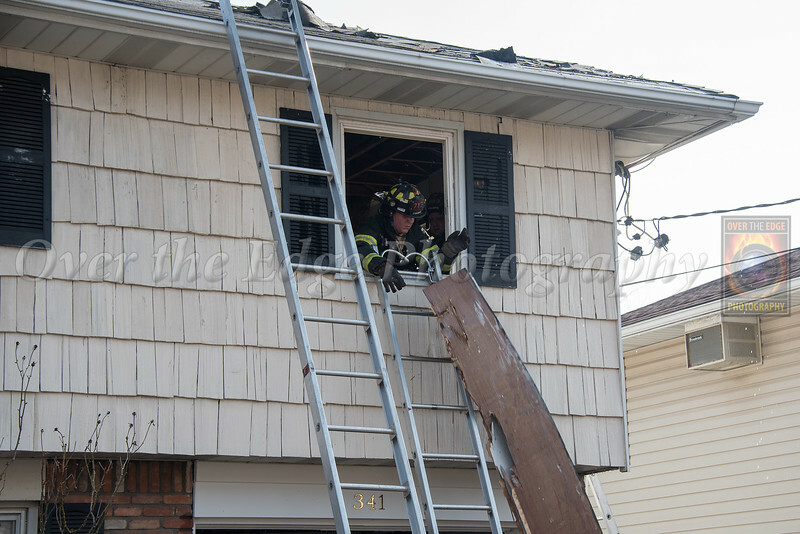 Upon arrival, crews found fire from the attic of the house and a Signal 10 was transmitted. Engine 711 stretched the initial attack line into the structure to extinguish the fire while crews from Ladder 713 began roof operations. The fire was quickly knocked down by all crews on scene and placed under control in less than an hour. All photos and videos on this website are property of Over the Edge Photography. Any reproduction, duplication or modification of any photos without written consent of Over the Edge Photography is prohibited.